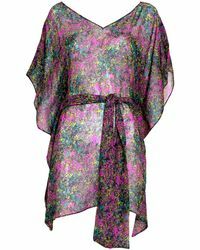 London-based artist and designer Liz Nehdi launched her namesake label in 2004 with the aim of creating 'wearable art'. 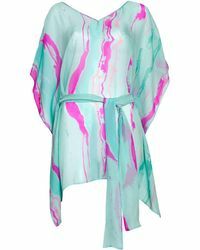 American-born, Nehdi works in silk to create unique and painterly pieces using a rich colour palette and dramatic artistic prints inspired by aboriginal dot paintings, graffiti and Psychedelia. 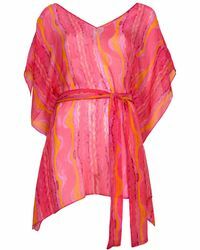 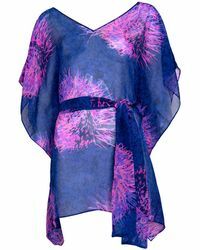 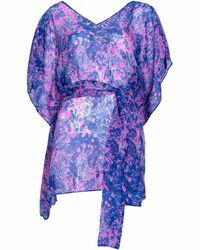 Turn to the Liz Nehdi range of beachwear for luxurious pieces that are sure to turn heads. 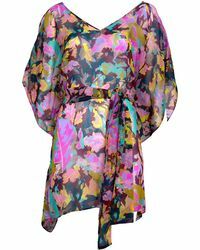 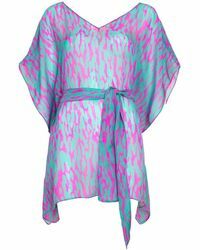 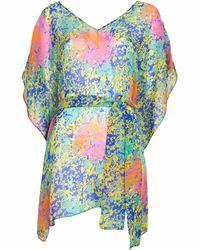 Find flowing silk kimonos in a rainbow of tropical hues and striking sunshine ready prints.